Many champions were born or formed in Altenberg, one of Saxony’s prime winter sports centres. But interested groups can also try their hand at Olympic disciplines under the guidance of experienced athletes and organized by a professional event agency. 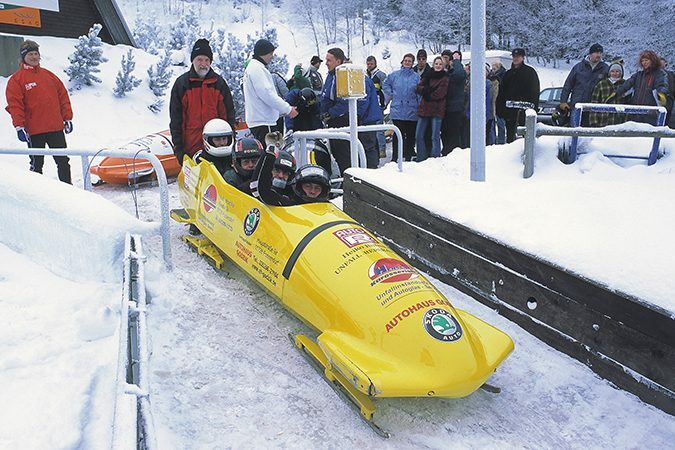 Most spectacular is a ride on the Altenberg Bobsleigh Run which has witnessed many world cup races and championships. It is also possible in summer when bobsleighs on wheels are used. Other activities like ice tubing, biathlon, and curling are also on offer. A great way of experiencing the beauty of the Elbe Valley is to take a balloon ride. Balloons over Dresden are a common sight in the evening when thermal updraft is low and collisions with gliders are impossible. A ride lasts for about 60 to 90 minutes but the whole experience takes three to four hours. Ballooning is also possible elsewhere in Saxony. The Saxonia International Balloon Fiesta, Europe’s most popular balloonist meeting, takes place in Leipzig every year in July. 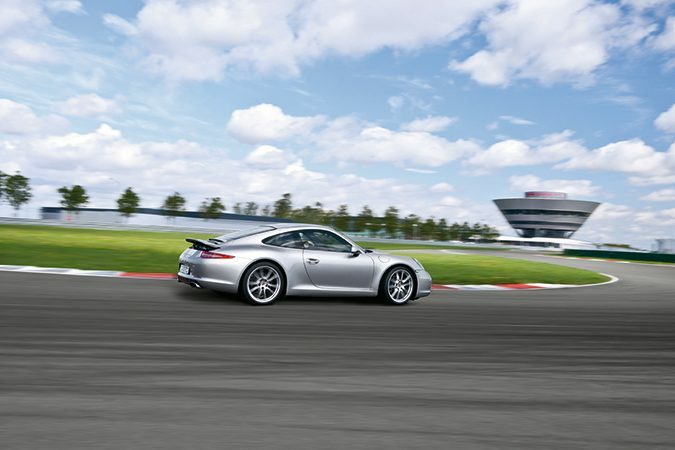 At Porsche’s Leipzig factory, there is a difficult choice to be made: Interested parties have to decide whether to race a sports car on the factory’s own racetrack or to take an SUV on to the mud track. For those less daring there is the option of sticking to the co-driver’s seat and leaving the driving to a Porsche professional. To round off the occasion, an event can be staged at the striking entrance building of the factory where even the food is designed by Porsche. From 1914 to 1993, the little airport in the town of Grossenhain north of Dresden was used by the military, last by the Russian air force. Today, it serves civilian purposes. A special attraction is the Flying Museum, a collection of historic airplanes which can be flown by willing customers. Among these airplanes is a Fokker DR 1, the triplane made famous by Baron Manfred von Richthofen in World War I. Those without a pilot’s license can take a ride in the passenger seat. This is indeed a great way to fly. 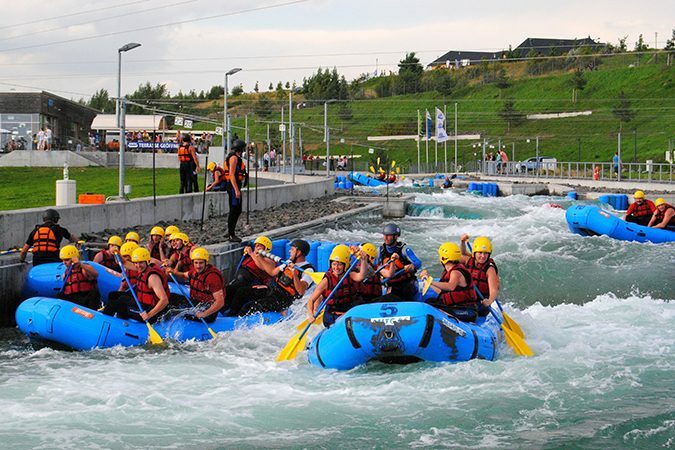 Even though Saxony is landlocked, there is a large number of waters suitable for water sports. Most suitable are the larger rivers and the vast lake lands around Leipzig and in Upper Lusatia. On the lakes, many kinds of water sports are possible. There are quite a few places in Saxony where boats can be chartered and ridden without a driver’s license. But the biggest ships that can be rented are those of the Saxon Steamboat Company which are available for highly personalized events.